Hello everyone ! 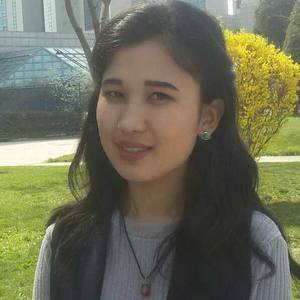 My name is Zilola Nazarova and I’m from Tashkent, Uzbekistan. I was born in 1995 and today I turned 24 years old. My father is an artist named Sharipov Ergashboy who always gives me inspiration and guidance in my art life. Under my father influence, I started painting when I was 4. I gained more experience as time went by and participated in several exhibitions. Art is my life, it is the thing that I think most and that is my real infatuation. 3. She won the contest in a competition held for the honor of Zahiruddin Muhammad Babur, the founder of Mughal dynasty in India. 2. In 2011 she organized her first exhibition called ,, The first step” and this was aired in channels Uzbekistan and Yoshlar.